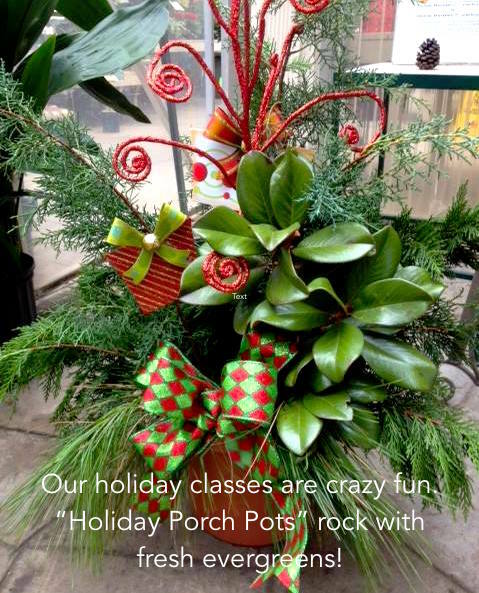 Craft your own porch pot at one of our Porch Pot Parties or let us create a custom porch pot for you. 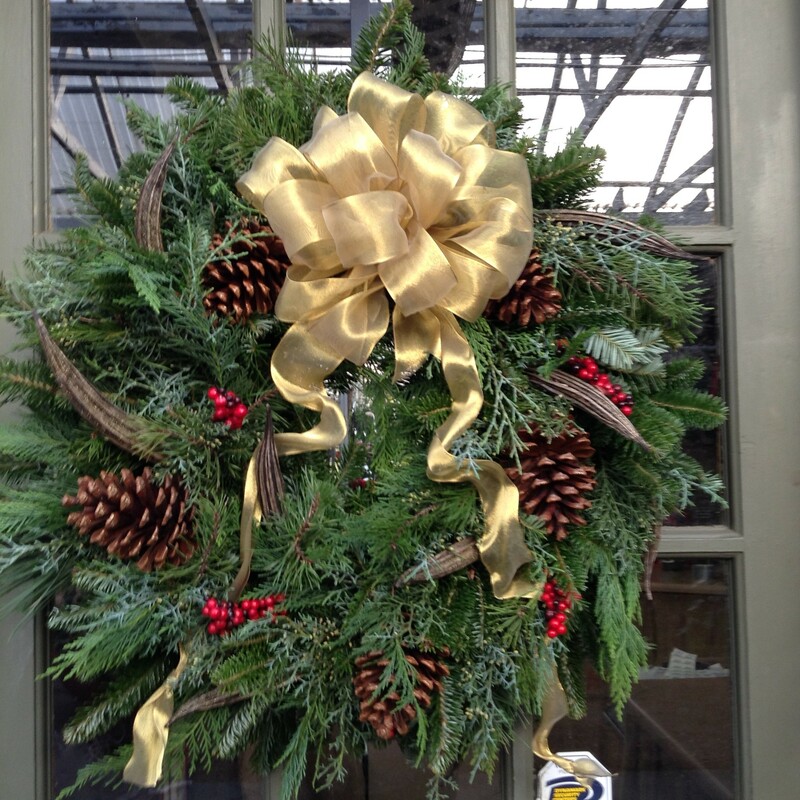 Perfect for a dramatic entry to your home during the holidays. 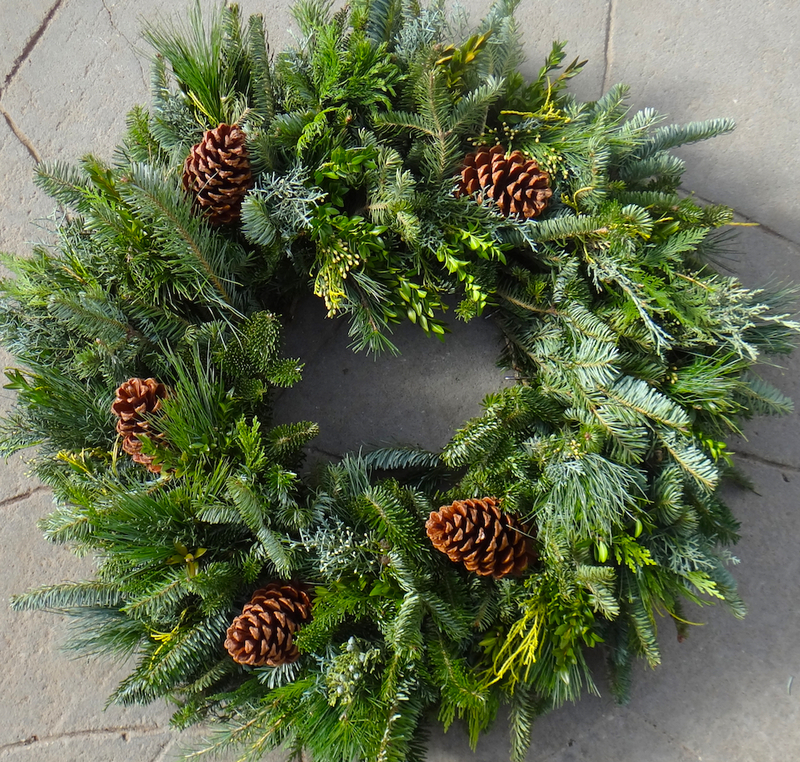 Add greenery, branches, pine cones and bows. Bling it up, if it suits your sense of style, or go traditional. Either way, you will have a unique container to enhance your holiday season. And, yes, those enormouse Sugar Pine Cones at the base of the urn are real, and are available at Martin Garden Center while supplies last. 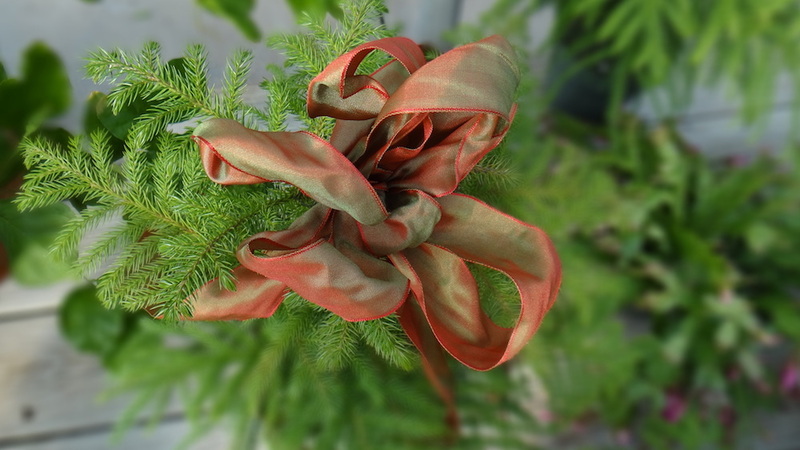 Sugar Pine Cones range in size from 8″ -14″ and come from the Sugar Pine Tree … of course. 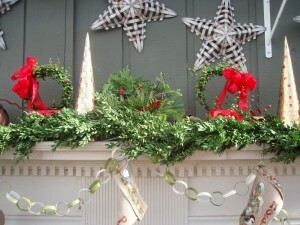 We are sold out of greenery by the yard, but we can make up swags and other enhancements for your mantle or mailbox. Just let us know your criteria. 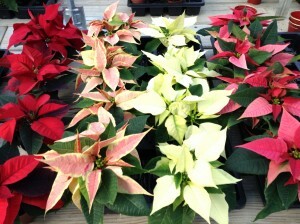 2″ poinsettias @ $3.99 – The perfect size and shape for accents in your holiday table centerpieces. 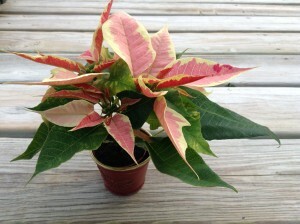 Buy one and get a free 2 inch accessory pots for your poinsettias. 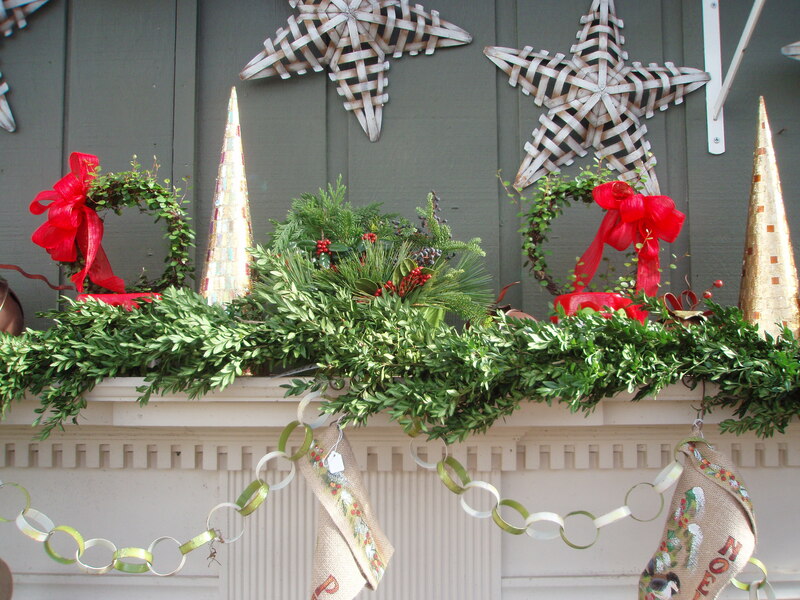 Come early to select from our varied assortment for your home, as well as for great gifts for teacher, the neighbors and fun friends. 4″ and 6 1/2″ and 8″ poinsettias – Line your mantle, your stairway and your entry table with poinsettias. 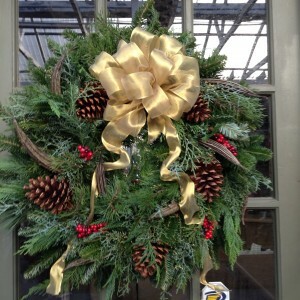 They are the perfect accent at the holidays and come in a variety of colors. They are also great gifts for friends and family. Accent your poinsettia purchase with wraps and bows of every color, as well as inexpensive containers to enhance your selection. 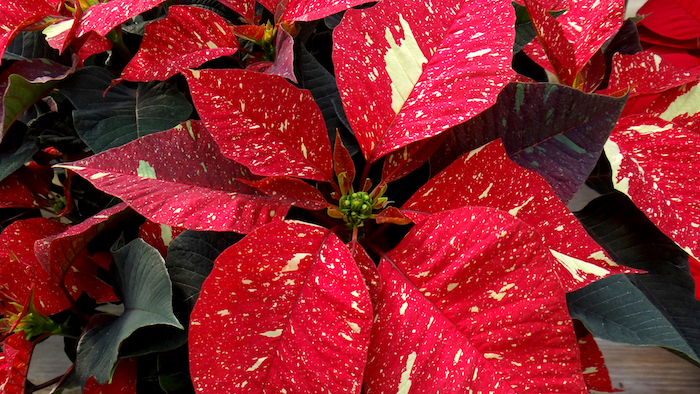 See our poinsettias in mass at local churches. Amaryllis bulbs make great gifts – we still have some kits and waxed (no water) amaryllis bulbs left. But when they’re gone, they’re gone till next year at the holidays. Paperwhites are great for Christmas arrangements, accents and gifts. Our 4 inch containers contain three bulbs, 6 inch containers hold five bulbs. We also offer several upscale vases containing paperwhite bulbs, perfect for the right amount of bling at the holidays. 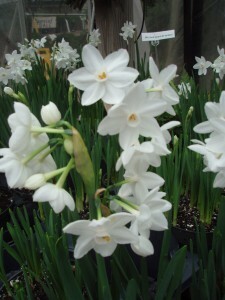 We may still have paperwhite bulbs for your use in potting up your own bulbs. 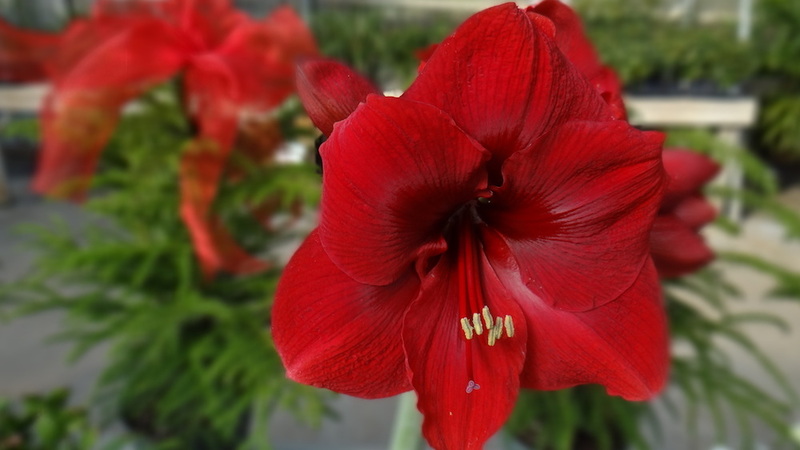 But, call before you come if bulbs are your only interest because they go quickly during the holiday season and once gone, we won’t see anymore until next fall.